Real Madrid desperately needed to bounce back from the beating they suffered in El Clasico, and they managed to do that by beating Shakhtar in a thrilling 3-4 win, which almost slipped away in the final minutes of the game. Ronaldo twice, Modric and Carvajal scored for the Merengues. 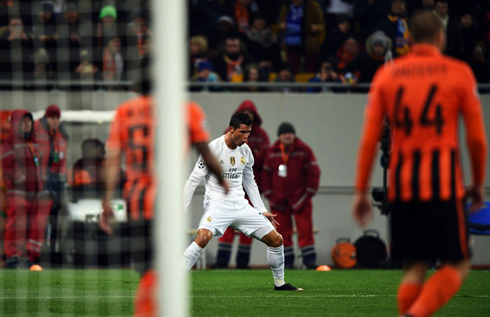 Real Madrid pulled off a 3-4 win in Ukraine against Shakhtar Donestsk this Wednesday night, but the Merengues were forced to turn on their survival mode in the dying minutes of the game after almost blowing up a 4-goal lead. Rafa Benítez's men, who clearly were still shaken from the trauma they suffered in the last weekend's Clasico against Barcelona, have now conceded 7 goals in only 2 games. Tonight was all about getting a win though and in order to accomplish that, Madrid relied on Cristiano Ronaldo's talent and determination, with the Portuguese scoring 2 goals and assisting his teammates Luka Modric and Carvajal for the other two goals his side scored in the L'viv Arena. 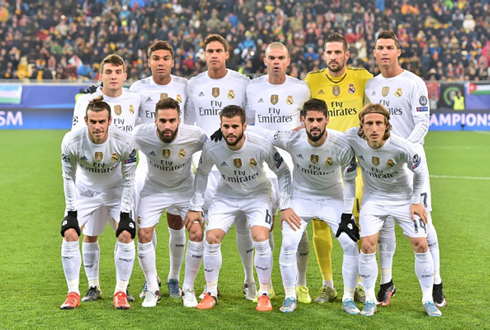 Well, for about 70 minutes, most Madridistas would have been pleased with the result. 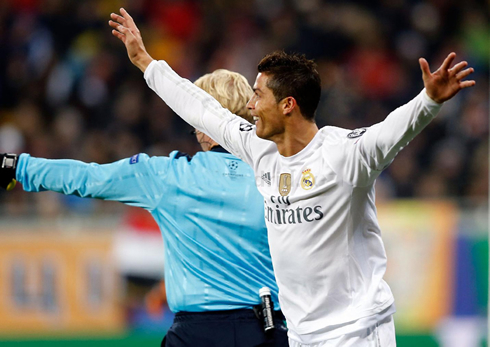 Then, in the last 20 minutes or so, Madrid attempted to undo all of the good work that they had done so far. Still, the Merengues emerged victorious with a 4-3 victory over Shaktar Donetsk which guarantees them the first place in their Champions League group. It was a tumultuous few days for Madrid on the back of 0-4 drubbing in El Clasico and a good performance was needed not only for the players but for the fans as well. With a new starting eleven that included the likes of Casemiro, Kovacic, Carvajal and Nacho, Madrid lined up up with a far more sensible formation than they did on the weekend, and it showed. Even before Cristiano Ronaldo would break the deadlock just shy of 30 minutes, there was passing in midfield, good movement and some nice interplay. In fact, at times it looked a bit too crowded in the center, with the likes of Isco, Casemiro, Modric and Kovacic occupying the same areas, but unlike the weekend, it was nice to see an actual midfield for a change. And it was that cohesion that would yield the first goal. Some nice play between Ronaldo and Modric led to the Croatian playing a well placed ball over the top for an onrushing Gareth Bale. The Welshman would use his speed to get to the ball before the keeper and square it to a waiting Ronaldo, who had the easiest of headers. Real Madrid would double the lead in the second half, when a great ball from Casemiro sprung Ronaldo free down the wing. 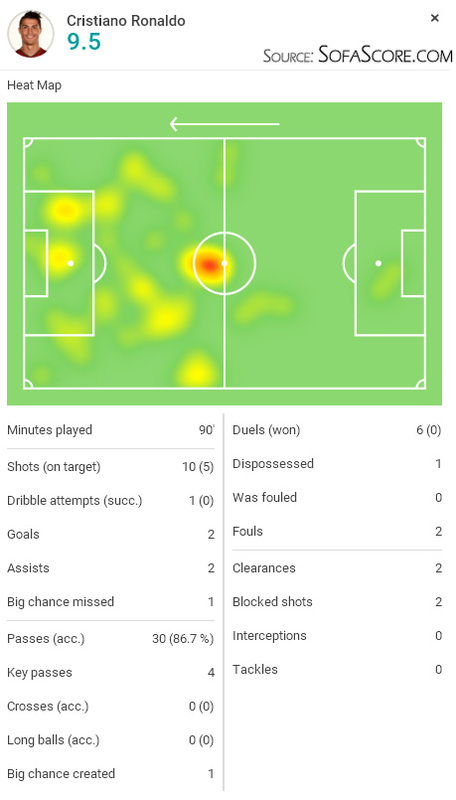 The Portuguese star, who looked far better in this game than any of his more recent outings, bided his time with his patented stepovers before playing Luka Modric in cleanly. The Croatian would smash it into the back of the net and Madrid were up 2-0. 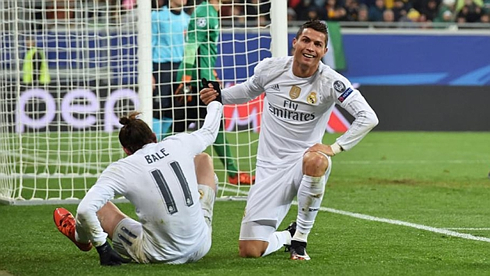 A brilliant team goal from two of the standout players on the night, Bale and Ronaldo, would give Madrid their 4th. Bale broke free on the left on one of his classic runs, just before outpacing the defender and squaring the ball for Ronaldo. The former Manchester United star would have his first shot deflected before cleaning up easily and running straight into the arms of an exhausted Bale spread out on the pitch. 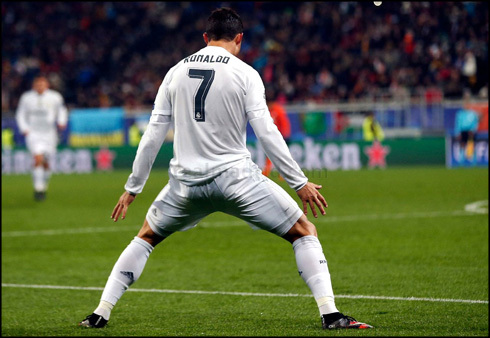 Cristiano Ronaldo next game will be for Real Madrid on the 29th of November of 2015, against Eibar. You can watch Juventus live stream, Eibar vs Real Madrid, Celtic vs Ajax, Liverpool vs Bordeaux, Qarabag vs Tottenham, and Krasnodar vs Borussia Dortmund, all matches provided from our live football streaming game pages.